Bring the world harmony with this exclusive "Peace, Love, Bowl" t-shirt from bowling.com! 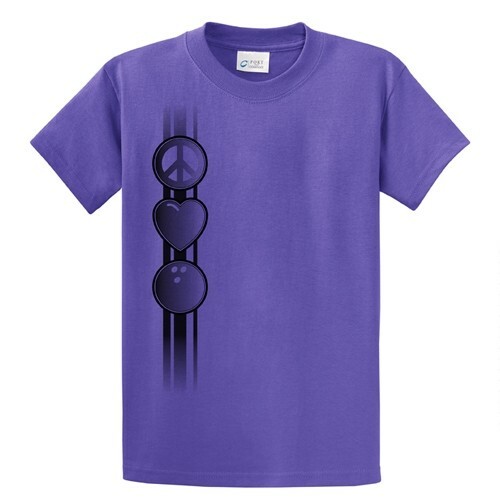 Due to the time it takes to produce the Exclusive bowling.com Peace/Love/Bowl TShirt Purp ball it will ship in immediately. We cannot ship this ball outside the United States.